Yesterday, 8 November 2018, marked the 123rd anniversary of the discovery of X-rays by Wilhelm Conrad Röntgen. It has been designated the International Day of Radiology (IDoR), a joint initiative of the European Society of Radiology (ESR), the Radiological Society of North America (RSNA) and the American College of Radiology (ACR). The day is an opportunity for radiologists, radiographers, technologists and professionals from related fields to recognise an event that launched a new branch of healthcare – medical imaging. Building on the work of scientists such as William Crookes and Ivan Puluj, Röntgen was studying the passage of an electric current through a gas of extremely low pressure. On the evening of 8 November 1895, while working in a darkened room, he discovered that if the cathode ray tube was enclosed in a black carton, a cardboard screen painted with barium platinocyanide began to fluoresce. After further experimentation, he persuaded his wife to place her hand in the path of the invisible rays over a photographic plate. Development of the plate revealed the bones of her hand and the wedding ring she was wearing. This was the first X-ray ever taken. The theme chosen by the organisers of IDoR for 2018 is cardiac imaging, a fast-growing subspeciality that plays an important role in the assessment and management of heart patients around the world. 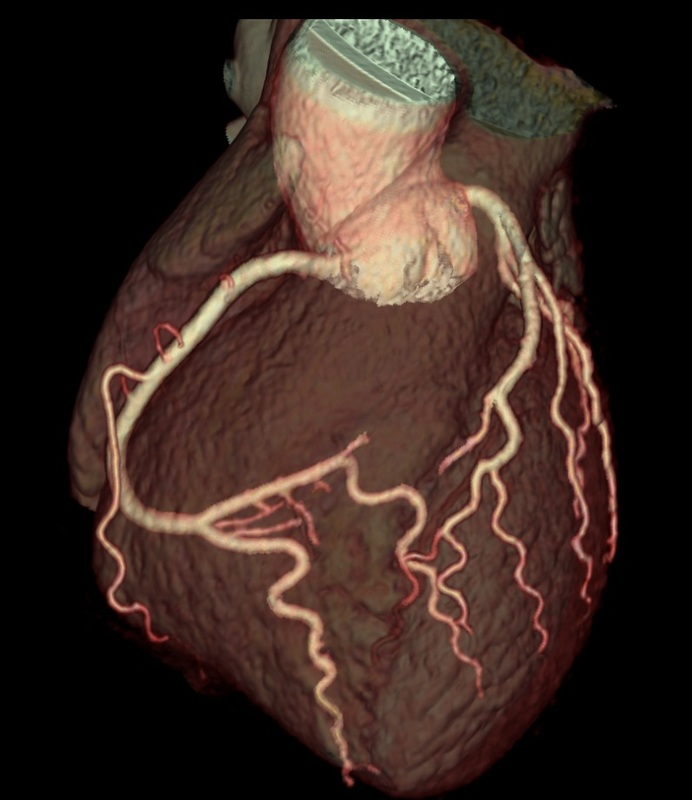 The imaging modalities in cardiac radiology include computed tomography (see cardiac CT image at left, © GE), magnetic resonance imaging and ultrasound. 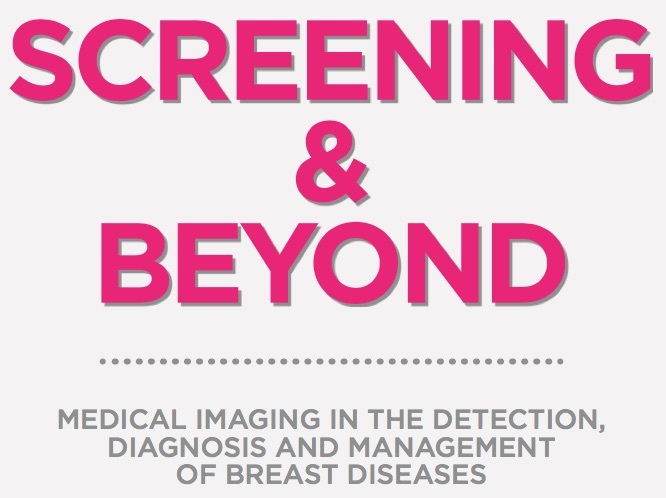 Two years ago the theme chosen was breast imaging and included the publication of a book entitled Screening & Beyond. Click here to download a free copy of the 171-page book (see below right). In chapter 1, Daniel Kopans says it’s time to stop the misinformation about breast cancer screening, Jennifer Harvey and Wendie Berg write about breast density and supplemental screening, while Francesco Sardanelli contributes a piece in support of screening mammography on behalf of the European Society of Breast Imaging (EUSOBI). In chapter 2, standards and quality are addressed, including the importance of the breast imaging-reporting and data system (BI-RADS), and exposure of the breast to ionising radiation. Other chapters cover the history of breast imaging, current research, EUSOBI recommendations, the role of radiographers, and interviews with key opinion leaders. Were he alive today, Wilhelm Röntgen would be astounded at the sophisticated ways that his X-rays are being used to visualise the internal structure and function of the human body, including the early detection of breast cancer. Now that’s something to celebrate! NOW FOR THE REAL CELEBRATION ! OF EARLY BREAST CANCERS IN WOMEN WITH AND WITH OUT DENSE BREAST TISSUE. We’re also celebrating the fact that the ionising radiation has had no adverse effects on breast tissue! It has occurred to me, for the first time, that WCR should have arranged for the first rays to be passed through his own hand – what a trusting wife. “What a trusting wife”. Amen!